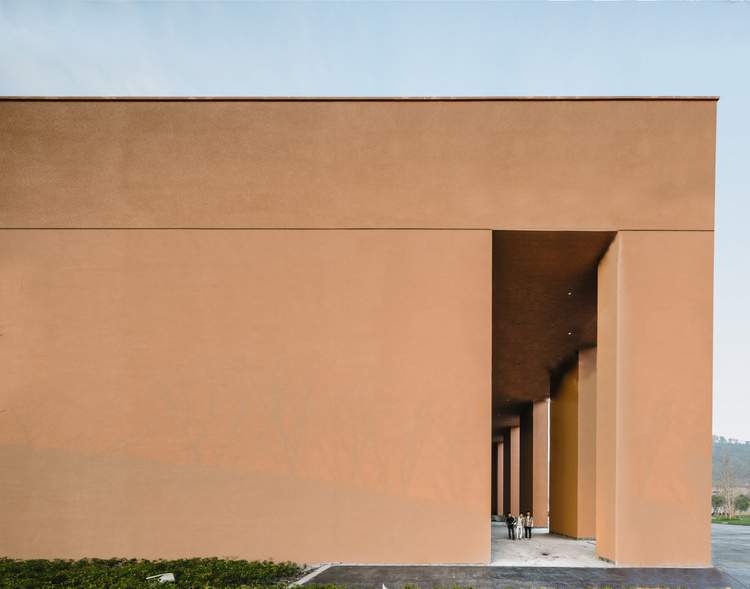 Arranged around a garden on a sloping site, the Zhejiang Museum of Natural History in Hangzhou poses a series of monolithic exhibition halls designed to blend in with the the prevailing landscape; one of the few provincial museums of natural history in China. Founded in 1929, the museum has a collection of over 200 000 specimens covering geology, ecology and palaeontology – almost as exciting as its hillside exterior. The eastern Chinese province is the site of many important discoveries from the Cretaceous period – the geologic period and system that spans 79 million years from the end of the Jurassic Period 145 million years ago to the beginning of the Paleogene Period 66 million years ago. I just Googled that, so now you know. 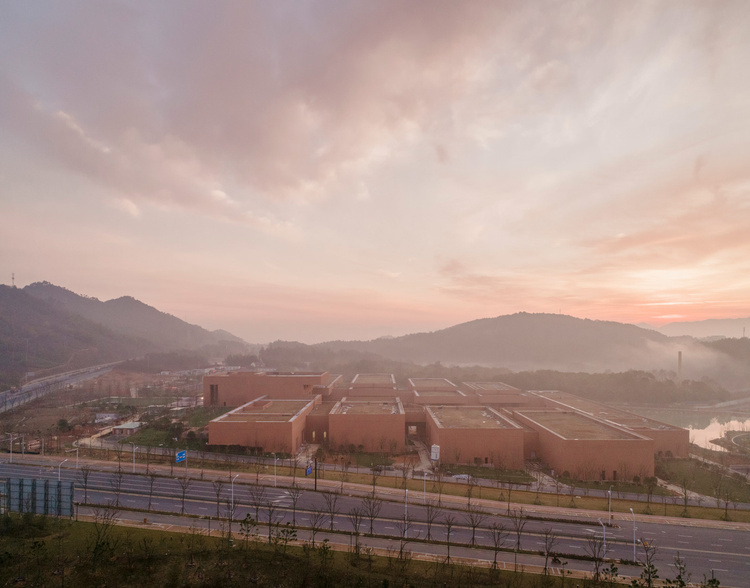 This new, second branch of the museum is the centrepiece of a cultural district in Anji, a relatively rural area in north Zhejiang. The high number of anticipated visitors and the large scale of some of the exhibits gave rise to a loose infrastructure of spacious exhibition halls. 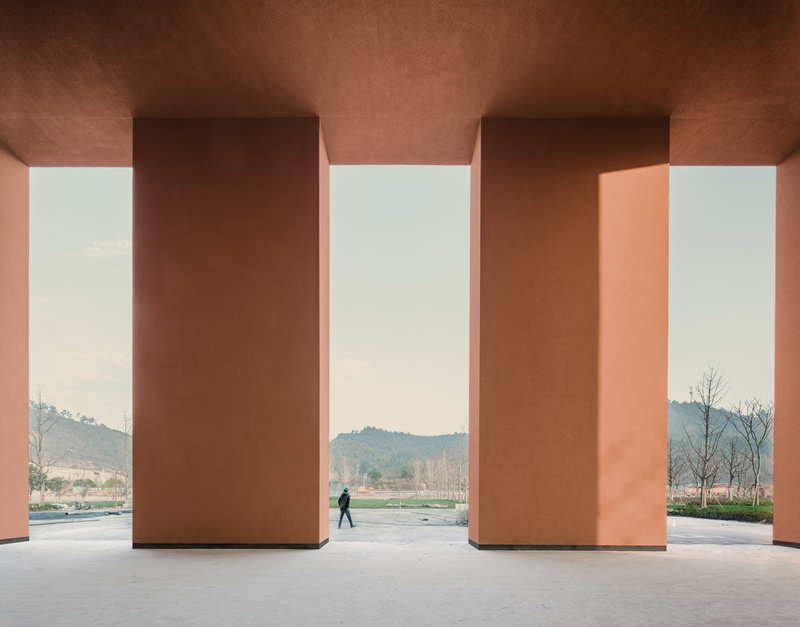 Designed by renowned British architect David Chipperfield, the ZMNH site is in a large natural park surrounded by bamboo forests overlooking resident rice fields. 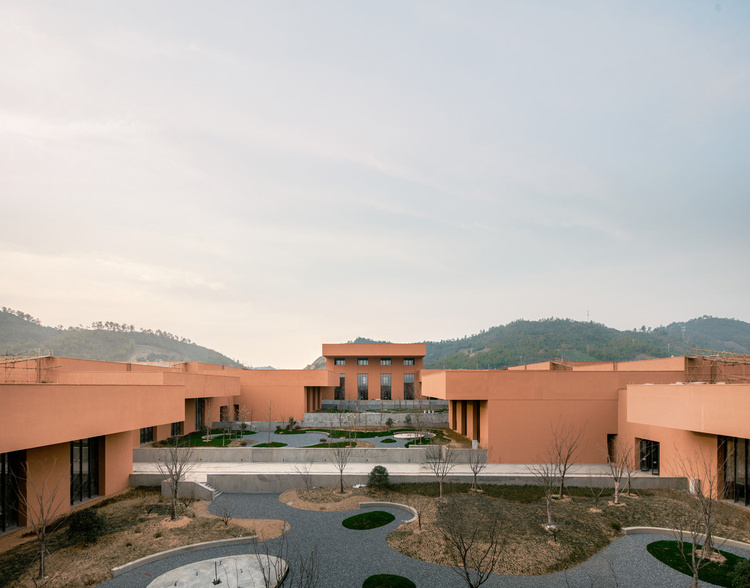 A staggered composition of eight, single-storey, bar-shaped pavilions step down the hillside. They follow the natural topography, minimising the visual impact on the landscape, and frame an open garden. 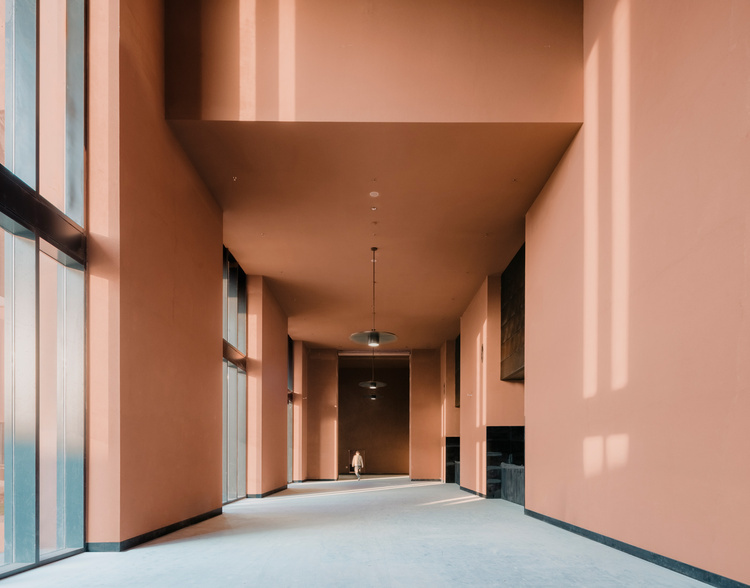 A loggia, or covered walkway, loops around this central space, mediating between the external and internal areas of the museum. Brilliantly juxtaposed but in an effort to blend rather than conflict, the solid pavilions are entwined within the central garden and surrounding parkland, extending onto the green roofs. 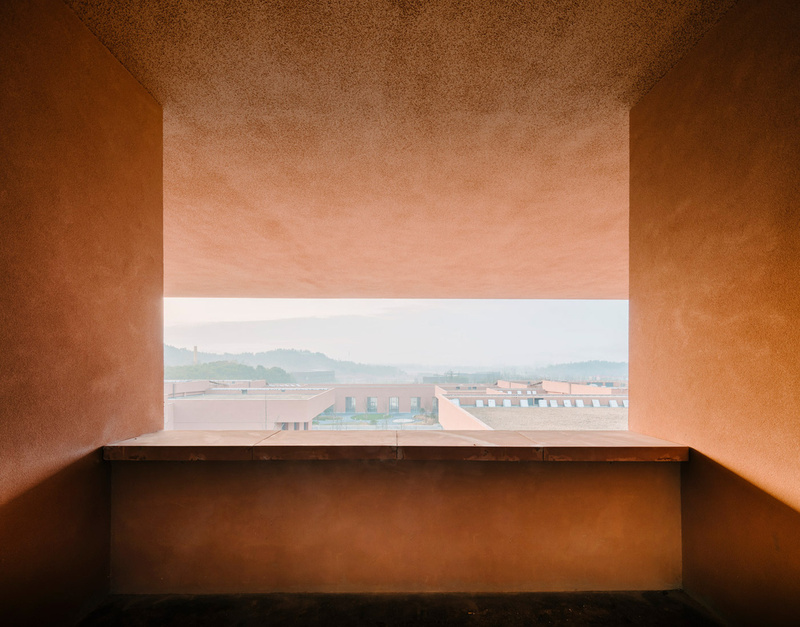 Each building is rendered in red ochre to match the clay earth of the hillside site, reinforcing the relationship between the museum and the landscape. Located on either side of the garden, each exhibition hall can be accessed directly or in sequence following the stepped loggia. 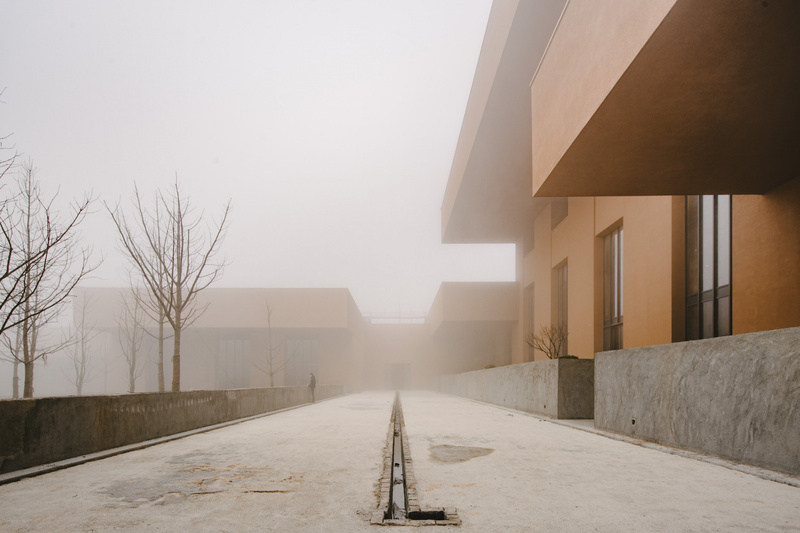 The southernmost pavilion, housing education facilities, faces out towards a lake at the lowest end of the site. An extraordinary blend of man versus nature that honours as well as wows.